It's been a long time coming, and finally there is a version of FL Studio that runs on an Apple platform. With it you can create complete multi-track projects on your iPad and, if you want, load mobile projects into FL Studio and take them to the next level. 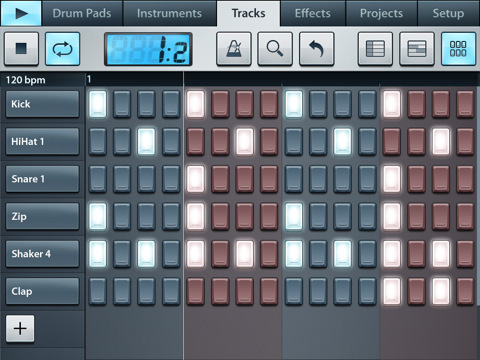 The FL Studio Mobile HD has most of the features of it's big brothers and is a great on the go companion for songwriters and arrangers, or anyone looking to have the ability to record or create music wherever and whenever inspiration strikes. Now you can send and receive live audio directly with other Audiobus-compatible apps! In-app shop with 5 sample packs (180 instruments), 2 of them are free in the HD version!